One of the most sought after courses for students who wish to explore while learning - surely meant for students who wish not to follow the beaten path. 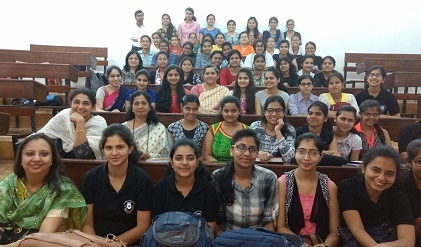 Unlike honours courses, BA Programme course offered by the University of Delhi gives large amount of flexibility, and the student is introduced to diverse subjects of disciplinary and interdisciplinary nature. Courses in BA Programme are relevant to the immediate environment of social opportunities while offering basic intellectual equipment expected of a programme of higher education. The students can choose from an array of subjects, dabble with various new and interesting courses, and at the same time can plan to do a master's programme in any of the discipline subjects. It provides the students enough knowledge in a discipline to pursue postgraduate studies. It is conceived both as a terminal degree with substantial intellectual equipment, and as an enabling degree for higher studies. It is a course that opens upvarious avenues, and a promising range of opportunities ahead. The college is proud of its alumni in various professional fields. This college offers a wide range of subject combinations across the 6 semesters.